EventBeat’s latest piece of innovation, the Web Scoop, has officially landed with the NOVA sporting group on the Great Run websites. The Web Scoop totally transforms the way in which content is controlled and distributed across the different websites. What can the Web Scoops offer? Web Scoops allow you to carefully select the best images & comments from social media, to publish them directly to your website. Visitors can directly interact with the content before potentially sharing the images & comments with their own social media profiles. Each site is specifically targeted, the Great Swim site, for example, only contains content regarding the swimming events. The Web Scoop, which acts as a social media agregator, can also demonstrate thought leadership and become an authority of the sport, by including relevant news and information from external sources, such as the BBC and SKY Sports. 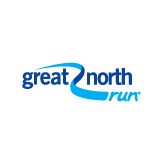 The Great Run, which includes the Great North Run, the Great South Run and the Great Manchester Run, is popularly referred to as the ‘World’s favourite run’. Throughout the calendar year, a number of running based events take place across the United Kingdom, with the most common race being the half marathon. The International Association of Athletics Federations (IAAF) have officially labelled the three races mentioned above as Gold Label Road Race status, highlighting these as leading events in the world. A one mile Great North Swim in Lake Windermere during 2008 has now grown into a an annual event, with four other races taking place in other locations. ‘The UK’s biggest mass participation open water swimming series’ roughly witnesses 22,000 swimmers taking part each year. The Great Manchester Cycle is a mass participation cycling event that takes place across three different distances to accommodate riders of all abilities.